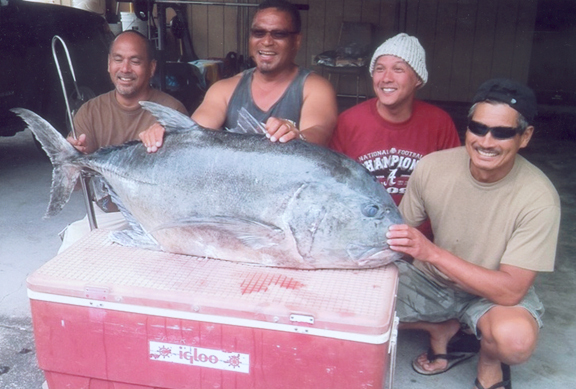 Mack Lopez and his fishing partners journeyed to the Ka'u region of the Big Island in search of the "king of the reef." Mack hooked his dream fishing on a 12-foot Kilwell pole and battled it using a Newell S646 reel and 80-lb test Ande line. They weighed the historic catch at J. Hara Store in Kurtistown.